Saturday, December 15, 2018 7:00pm - 9:00pm "Kinetic Legacy: The Heritage Of Hip-Hop Dance"
2010. 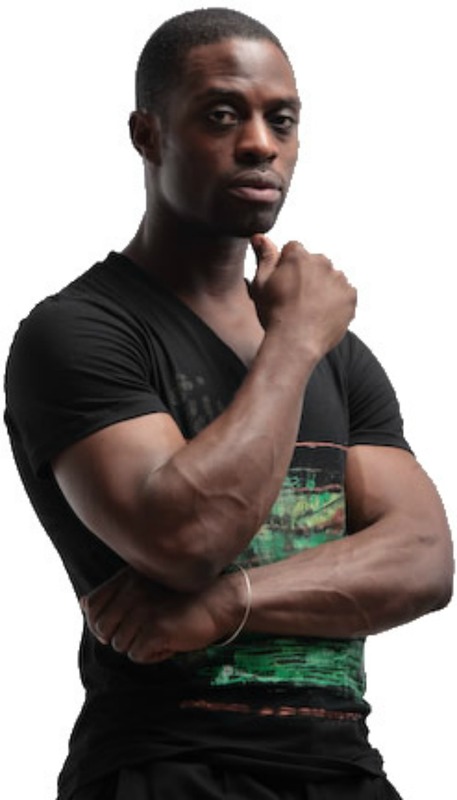 To rave reviews, Adesola was the lead during the musical’s first national tour as well as when it returned to Broadway the following summer.It was through dance that Ade (as he is affectionately called) made his first mark on the stage and has come to be regarded among his peers as a leader in the world of hip hop dance. 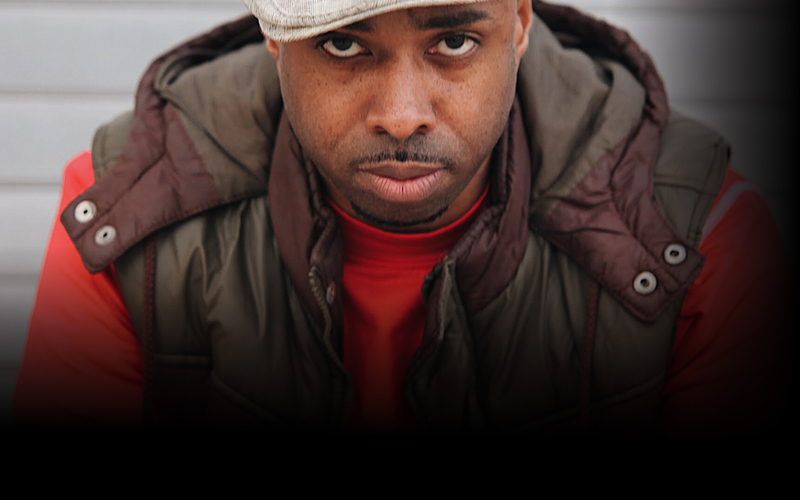 He has the distinction of having co-created and co-directed the Off-Broadway hit Jam on the Groove, the first ever hip hop theater production. It received a Drama Desk Award nomination for Best Choreography. Ade is also co-founder of the legendary GhettOriginal Productions Dance Company. His work has earned him a Bessie Award, a Drama Desk Award nomination, and funding from the National Endowment for the Arts. As a dancer, his appearances include Across the Universe, Enchanted, Idlewild, ABC Television’s Double Platinum (with Brandy and Diana Ross), Louis/The Great Observer, MTV Music Video Awards, The TODAY Show, American Music Awards, and others. 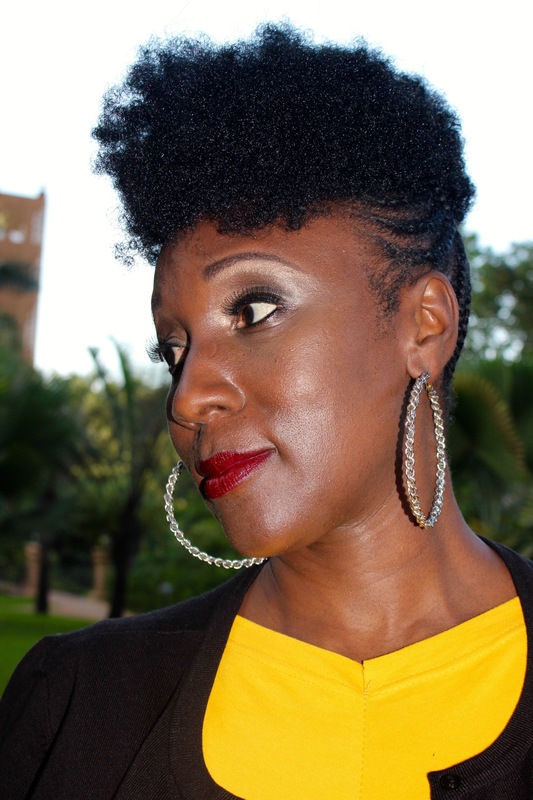 Friday, December 14, 2018 7:00pm - 9:00pm "Ase L'enu: The Power Of The Spoken Word"
Toni Blackman, a highly respected artist and social entrepreneur, is the first Hip Hop artist selected to work as a Cultural Ambassador with the US Department of State. She is currently an artist with the Carnegie Hall Weill Music Institute and a fellow in the Echoing Green Foundation’s Thought Leadership Cohort. Creator of Freestyle Union Cipher Workshop and Rhyme Like A Girl, for which she was awarded a prestigious Open Society Institute fellowship (Soros Foundation), Toni is one of the world’s foremost Hip Hop activists. This influence led to Toni being selected as a 2012 DOVE soap Real Woman Honoree. Working in over 34 different countries, touring Africa, southeast Asia, Europe, Canada and Brazil has positioned Toni to consult for festivals, conferences and she most recently curated SOURCE 360’s International Hip Hop Show as a part of the Barclay’s center programming in a partnership with BAM. This visionary artist leads freestyle masterclasses, rap cyphers, has developed innovative approaches to using the cypher as a concept for community building,leadership development and healing and is on the working committee for Harry Belafonte’s Sankofa.org. Jeffrey Page has trained and worked with some of the most influential people in theworld of dance. He has staged concerts and TV appearances for recording artists Beyoncé (World Tour & TV), Will Smith & Jada Pinkett-Smith (opening for BET Awards), R. Kelly (finale for Billboard Awards), Jazmine Sullivan (Year of the Gentleman World Tour), and production numbers for VH1 Hip-Hop Honors Awards, Fashion Rocks, NAACP Image Awards, World Music Awards, MTV Awards and Dove Awards. Off-Broadway, Jeffrey has been Associate Director and Choreographer for Woodie King Jr. (NECʼs, Sundown Names and Night-Gone Things), and Michael Bush (TRU Reading Series, The Unbleached American); and in the Regional Theater sector (LORT) he was Choreographer for Gramercy Theatre ofOrlando, Little Shop of Horrors, and Director-Choreographer for The Hole in the Wall (Ebony Repertoire Theater of Los Angles). From the bright lights of Broadway in the Tony Award winning musical, FELA!, creating the MTV award winning choreography for Beyonce’s riveting smash hit, “Run The World (Girls)”, to the stage of the Fox hit series, So You Think You Can Dance, where his electric, heart-pounding choreography was praised by judges Debbie Allen, Nigel Lythgoe and Mary Murphy as being “tremendous,” “pure,” “authentic” and “tough,” Jeffrey continues to leave his indelible stamp on the world of American entertainment. 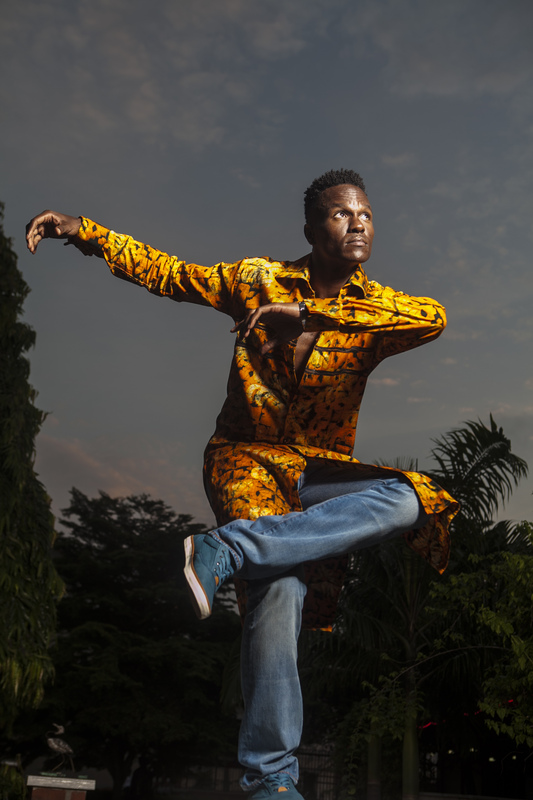 Adedoba Afolabi was born in the mountains of southwest Nigeria and credits his mother, who was a versatile dancer, as the fundamental force behind his flair for expression. Monet, Van Gogh, Degas and Yoruba stylized carvings were later influences on Afolabi. Doba studied at the famous Zaria Art School. While still in school he became known as one of the “Zaria Rebels,” an artists’ school known for their experimental style and bold color palette. Briefly, he worked for the United Nations as a graphic designer. He also spent some time teaching art at Yaba Technical College, in Lagos, Nigeria, before eventually migrating to New York City. He is currently based in Brooklyn. His first solo exhibit, “Buffalo Soldier” was in 1999, in North East Miami, Florida, at Asmar B Art Gallery. Since that time, he has been an annual presence at the Black History Month art shows featured on the campus of Florida International University and his work has been featured during Miami Art Week at Art Africa Art Fair. Saturday, December 15, 2018 3:00pm - 5:00pm "Drum Talk: The Dialogue of Music & Spirit in the 21st Century"
Chief Baba Neil Clarke is a master percussionist of legendary status. Born and raised in Bedford-Stuyvestant in the spring of 1951, Clarke is internationally acclaimed as a percussionistwho has been involved with traditional African drumming and the percussive arts for more than half a century. In addition to his ongoing collaborations with Randy Weston and fellow African Rhythms sidemen Alex Blake, Benny Powell and Talib Kibwe, Chief Baba Neil has enjoyed long- standing relationships with such notable artists as Harry Belafonte, Onaje Allen Gumbs, Dianne Reeves, David Sanborn, Miriam Makeba, Letta Mbulu, Carlos Garnet, Paul Winter, the Spirit Ensemble, Tulivu Donna Cumberbatch, the late Noel Pointer, the late Arthur Prysock, the Alvin Ailey American Dance Theater, the International African American Ballet, and many others. In addition to his activities as a professional performer, has been active in arts in education programming for more than four decades as an educator and a consultant. He has conducted artist residencies and designed programming at all educational levels from elementary and middle school through secondary and college. 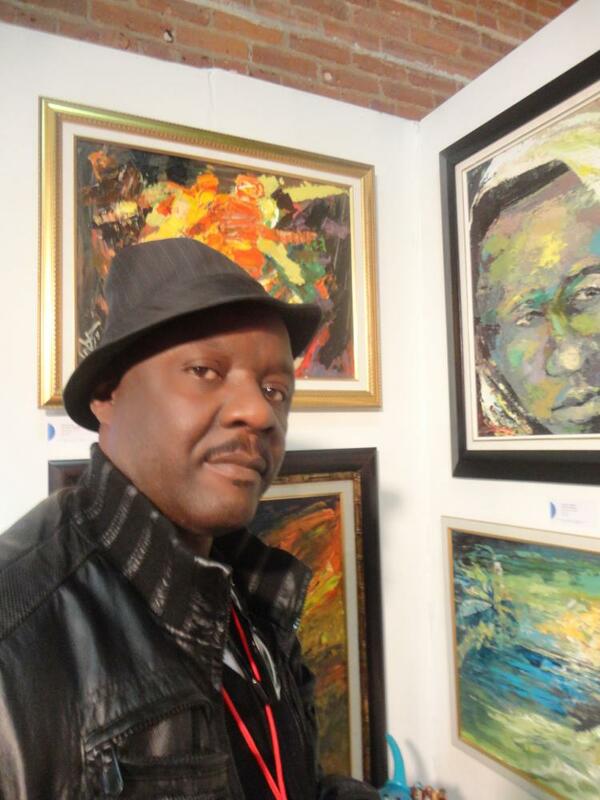 Chief Baba Neil has done artist residencies and master classes at institutions such as Harvard University, Duke University, Rutgers University, Long Island University (C.W. Post), University of Hartford, Lewis and Clark College. NSangou Njikam is an actor and playwright originally from Baltimore, MD. He is the author of Syncing Ink, Re:Definition, I.D., When We Left, Search For The Crystal Stairs, and one of the authors of “Hands Up: 6 Plays, 6 Testimonials.” His work has been developed by The Public Theater, Penn State University, The Flea Theater, Hip Hop Theatre Festival, UNIVERSES theatre company, The New Black Fest, and the Alley Theater. Mr. Njikam’s play I.D. made its world premiere at the National Arts Festival in Grahamstown, South Africa before being presented to the U.S. at Penn State Centre Stage. His playwriting residencies and fellowships include 2015 Emerging Writers Group at the Public Theater, 2013 New Black Fest fellow, and Penn State University commissioned playwright. Mr. Njikam’s play, Syncing Ink, premiered with rave reviews at the Alley Theater’s All New Festival, directed by Niegel Smith. Mr. Njikam’s work focuses mainly on identity stories and the empowerment of the human spirit by recognizing and embracing one’s personal gifts, utilizing Hip Hop theater, poetry, and West African performance aesthetics. He also aims to develop new, diverse and younger audiences by creating “theater of the now and for tomorrow.” Syncing Ink returns to NYC in an encore presentation on January 20, 2019 at Joe’s Pub. 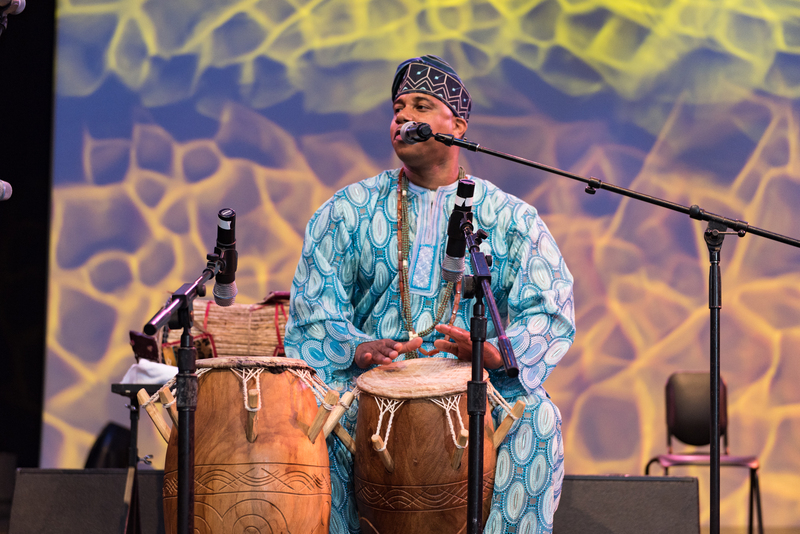 Chief Ayanda Clarke is an African American master percussionist, GRAMMY® Award-winning musician, arts educator, and lecturer. 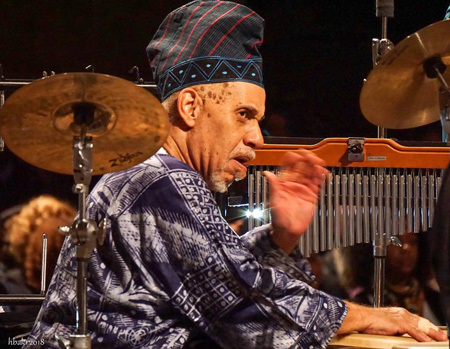 A gifted performer since childhood, Clarke has traveled across several continents performing with some of the world’s most revered percussionists. He continues to perform and lecture frequently on African culture and music. Most recently, this Brooklyn-born native New Yorker was a featured artist and percussionist on The Offense of the Drum by Arturo O’Farrill and the Afro-Latin Jazz Orchestra. The recording won a GRAMMY® Award in 2014 for Best Latin Jazz Album. Clarke’s select list of concert, television, and consulting credits include Carnegie Hall, Lincoln Center, Michael Jackson: 30th Anniversary Celebration at Madison Square Garden,The Late Show with David Letterman, Good Morning America, America’s Got Talent, the U.S. Open, and Sesame Street. He has also recorded and licensed music that has been featured on FOX’s So You Think You Can Dance.